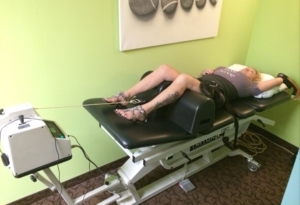 We offer non-surgical spinal decompression in Dallas which provides relief to many patient’s pain. Research indicates the disc is responsible for a significant number of lumbar/leg pain and neck/arm syndromes. Decompression is defined as reduction in pressure and has been shown to reduce disc pressure and enhance the healing response even further. If disc issues are the root of your symptoms and chronic pain, then you are prime candidate for decompression. If you’re looking for a chiropractor for Spinal decompression therapy in Dallas, contact our chiropractors at Dallas Wellness Center.